sounds weird, but I really did love their smell! Good smells are always fun! Your Uncle Dan must have been pretty special! 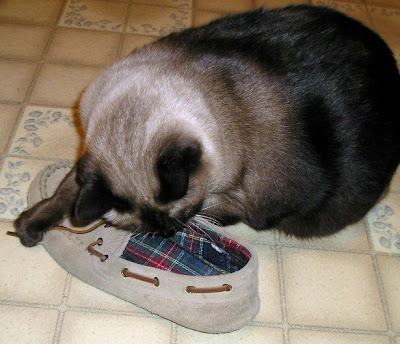 A good smelling shoe is priceless! We used to love our mum's sheepskin slippers but never took any notice of any shoes. Nothing like the aroma of a good man-shoe!!! Alfie is the shoe sniffer in our house! MOL! PS: We just added you to our RSS feeds so we can visit more easily and regularly when you post.